XC 10x32 is rated 3.6 out of 5 by 5. Rated 5 out of 5 by ADC1 from Very Pleased Ordered these not knowing if I was going to like them because of size, I could not find any in our area to tryout and personally handle them. Talked to a Steiner Rep. and assured me that I would be pleased, if not I could return them. After receiving them and had a chance to go out into the field hunting with them they are great size compact enough to carry under shirt, fits in the pickup cubby hole easily, very sharp and clear, great product. Rated 3 out of 5 by hex johnson from good binoculars for the price This is a good entry level pair of binoculars. the optics is good and the build is excellent. However, is not quite as sharp as the Nikon Monarch 5. The Monarch 5 is 10x42 but the size is almost identical to the Steiner 10x32. The Monarch 5 is a little more expensive. I've never had a pair of Steiner's before. Rated 5 out of 5 by Big D from This Product Is Very Well Made I Have Only Received These Binoculars Yesterday, So I Have Not Really Had A Chance To Use Them Much, But They Are Very Well Made And Have Substantial Weight To Them, Can You Tell Me What Are The Four Plastic Fittings That Were Supplied In The Box For? They Are Not The Same Size As The Clicloc Fittings. Rated 4 out of 5 by Photoguy from Superb Multipurpose Binoculars Have had these only a week, but am very impressed. They support the Steiner reputation for rugged, high quality binos. Large field of view, bright and vibrant image, with very fast manual focusing. Rated 1 out of 5 by RaymondR from Defective product, and you get to pay postage Purchased defective product, spot is inside left lense. They make you pay for the postage to correct defect. Is the field of view really 387ft at 1000 yards? I've never seen a 10x32 binocular field of view in my life that approaches that size before. Is it possible to mount the XC 10 x 32 on a tripod or monopod? Yes they can be. There is a cap on the hinge that can be unscrewed to reveal the standard 1/4-20 tripod adapter. What is eye relief of xc 10x32? I have a 7x30 Commander XP &nbsp;afocal Steiner binocular, is the 10x32 I am looking at afocal, if not does such exist? I'm not sure that 'afocal' is the appropriate word to describe the Sports-Auto focus system of the various Steiner porro-prism binocular lines - the optical systems *do* focus the image, however they do so with the assistance of your eye. The roof-prism XC and Predator lines are not equipped with Sports-Auto focus, and do not share the same optical design. 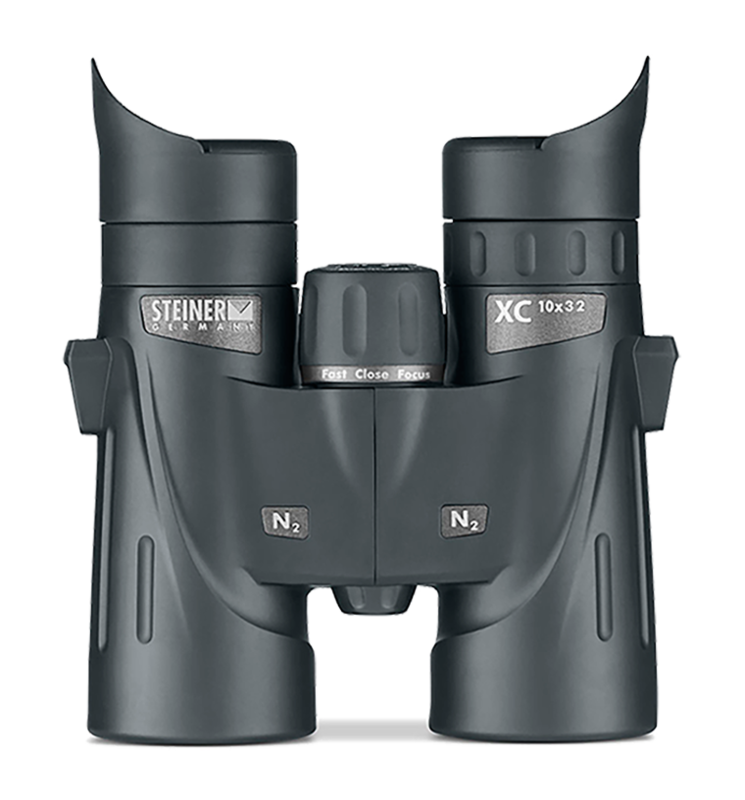 What is the luminosity and twilight factor of the&nbsp;Steiner 10x32 XC Binocular? 10.2 luminosity and 17.9 twilight. Lots of retailers in Miami area. Just click on Buy In Store button and type in Miami. Thanks for your interest!